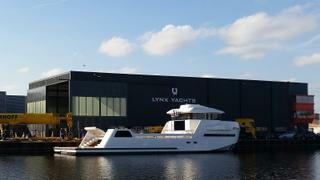 Dutch yard Lynx Yachts has launched the second hull in its YXT 24 Evolution series at its Nijkerk facility in the Netherlands. 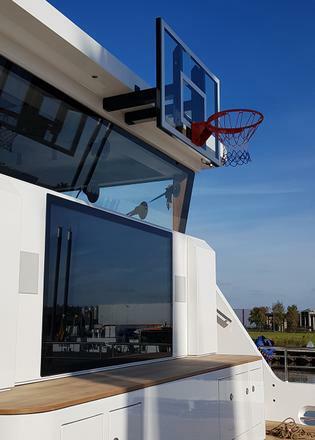 The 24 metre superyacht support vessel is the fourth yacht to be built by the company and features a steel hull and superstructure. The yacht features exterior design by Bernd Weel, naval architecture by Diana Yacht Design and interior design by Darnet Design. With 75 square metres of deck space, the YXT 24 Evolution has plenty of room for tenders and toys, including a car garage for the owner’s Land Rover Defender. Other features include a spa, gym and fitness area, laundry and helipad. Accommodation is for four crew and a maximum of three guests in a double cabin with a Pullman bed. 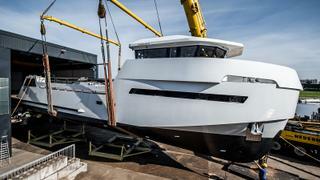 It will be powered by a pair of 850hp C12.9 Caterpillar diesel engines for a top speed of 13 knots.